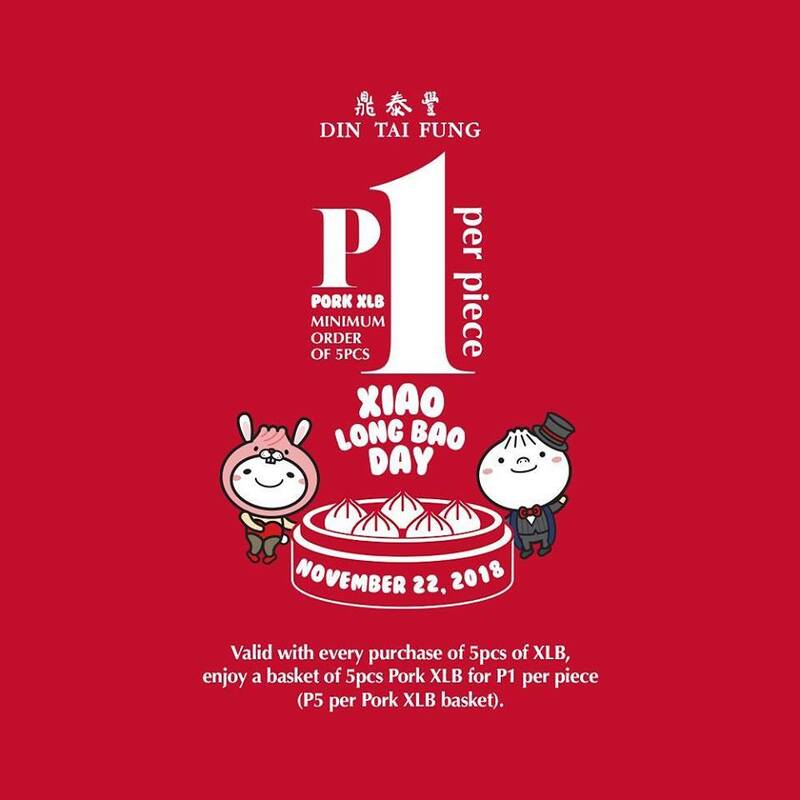 Celebrate Din Tai Fung Xiaolongbao Day on November 22, 2018! Get the world's best xiaolongbao, Pork XLB, for only P1 each! *Valid with every purchase of 5pcs of XLB, in all our Din Tai Fung stores -- SM Mega Fashion Hall, High Street Central BGC, and Power Plant Mall, Rockwell. For every 5pcs of XLB purchased, enjoy a basket of 5pcs Pork XLB for P1 per piece (P5 per Pork XLB basket). Maximum of 5pcs of regularly priced XLB and 5pcs of P1 Pork XLB (a total of 10pcs) per person at a time. Offer is valid for dine-in only, on November 22, 2018. Offer is valid until supplies last. 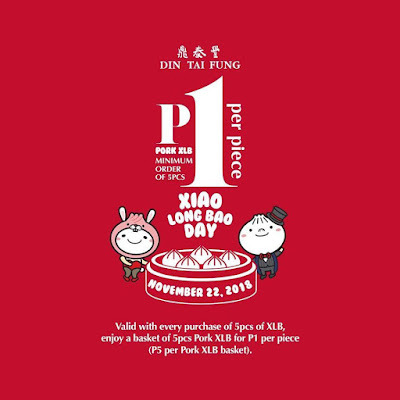 Offer is valid in Din Tai Fung Philippines stores only (Mega Fashion Hall, BGC, & Rockwell). No leftovers, no takeout. Leftovers will be charged regular price.